On a bus in Tel Aviv shortly before Shabbat, Chelsea, a tourist from Colorado, is about to make a grave error. Noam, a local on his way home from work, spots what's happening. Though he helps avert the disaster she's set in motion, their lives are forever altered.Recovering from a trauma back home, Chelsea has traveled to Israel hoping to restore her shaken faith. A scientist and a proud secular Israeli, Noam is working through his own traumas, which include a dead girlfriend and a phobia he's ashamed to face. Though Chelsea and Noam hail from opposite sides of the globe, they find something in each other they've never experienced before. 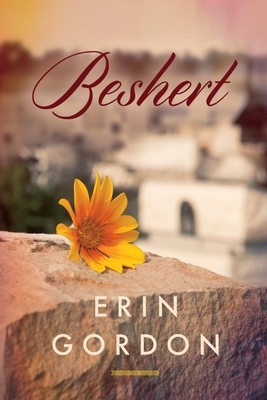 But how can an atheist Jew from Tel Aviv and a Christian from Colorado Springs create a life?Hitting the sweet spot between novelty and familiarity, BESHERT will appeal to fans of Emily Giffin and Sarah Jio. With a fresh premise and a vivid Middle Eastern setting, the story is told from two perspectives and explores what happens when your core identity is challenged.